I decided to start this series just for the heck of it and was rewarded with a great book. Jack Reacher finds himself arrested in smalltown, Georgia for a murder he did not commit, and while making a case for his innocence and release, finds himself in the middle of a massive counterfeiting operation and conspiracy that involves, of all things, his brother. What follows is Reacher and his newfound girlfriend trying to get to the bottom of this operation while avoiding atttempts on their life multiple times along the way. I was very impressed with how Child took many plotlines and wove them all together in a tight, thrilling novel. 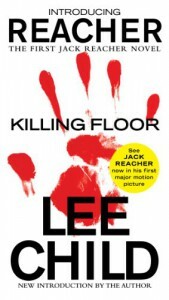 Reacher is a very interesting character, with many layers and capable of many things in a story such as this. Looking forward to other Reacher tales in the future.